Hematopoietic Stem Cell Niche focuses on an individual organ, looking at the stem cells in the organ itself (if they exist), their niches, and how to use them alongside relevant methods and protocols. This series addresses stem cells during development, homeostasis, and disease/injury of the respective organs, presenting new developments, such as new data on disease and clinical applications. 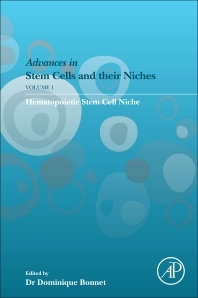 Specific chapters delve into the evolution of hematopoietic stem cell niches, the role of CNS in the regulation of HSCs, and targeting the bone marrow niche in hematological malignancies. In addition, video content illustrates protocols, transplantation techniques, and work with mice.